Even on a budget you can get a great mattress. Whether you are looking for an innerspring, memory foam, or hybrid type mattress; there are great beds under $500. Innerspring or coil mattresses are the most common. These mattresses use a spring and form to create a comfortable, long lasting bed. Memory foam has become extremely popular in recent years. This boost in popularity means more companies making these types of mattresses and you can now purchase one in a much lower price range. Memory foam is known for being the go-to material for back and joint problems. Because memory foam distributes weight so well, it relieves pressure on joints and the spine that can cause discomfort. There are also hybrid mattresses. These types of mattresses use an inner coil layer topped with memory foam. Hybrid mattresses give you the comfort of memory foam at the lowest price. Be sure to check sizing as some may have some variances of up to 3 or 4 inches. Also think about adding a mattress topper if it is within your budget. 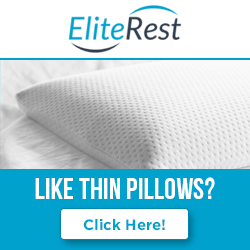 This can add longevity and softness to your new mattress. Best Price offers a memory foam mattress that comes in a variety of sizes. This memory foam type mattress is very affordable. The memory foam in this mattress works by contouring to your specific body shape to help alleviate pressure. This helps with morning aches and pains. One thing to be mindful of is that memory foam can be warm and hold in body heat. This mattress will keep you still and peaceful, especially if you have a partner that tosses and turns while you sleep. The Best Price Memory Foam Mattress will also keep you warm if you get chilly at night. The Best Price mattress comes with a ten year warranty for long lasting stress relief and no worries for years to come. The mattress comes in a variety of sizes and thickness to suit your needs or wallet. The Best Price mattress is available in a Twin, Twin Xl, Full, Queen, King and California King. The available thicknesses are 6, 8, 10 and 12 inches. Dimensions on this mattress are standard sizes so any bedding you currently own will fit snuggly. The weight of the mattress is between 24 to 97 pounds. so the smaller ones are lightweight enough to be moved by one person, while the king size can be moved with a friend. Zinus has designed this mattress with three layers of foam each contributing to the overall comfort of the mattress. There is a top layer of memory foam which conforms to your body and prevents motion from being transferred to you or your partner during the night. The second layer of comfort foam will give you that pressure relief you are looking for to keep you pain free each morning. The bottom foam layer gives support to the other layers and will keep your mattress firm and supportive for years to come. The three layers of foam will provide just enough firmness for great body support, while maintaining the right amount of softness to keep you sleeping cozy throughout the night. Zinus also infuses this mattress with a special extract of green tea to help keep your mattress just as fresh as the first day you unpack it. This mattress has a ten year worry free limited warranty. The Zinus mattress is available in the following six sizes: Twin, Twin XL, Full, Queen, King and California King. There are also three thickness choices available which are 8, 10, and 12 inches. Depending on what mattress you choose the product will weigh from 40 pounds up to 90 pounds, so there is no back breaking lifting required. Your mattress will come boxed, rolled up, and vacuum sealed right to your front porch. This mattress needs time to settle so open and let it stand for about 48 hours. Pricing ranges from as low as $171 up to $349. If price point, comfort, durability and fresh scent are on your checklist of must haves for a new mattress then definitely check out the Zinus Memory Foam Green Tea Mattress. The Signature Sleep mattress is designed with a layer of foam on the top and the bottom with coil springs in the middle. These layers of foam will help prevent you from feeling the coils and also make this mattress flippable for a longer life span. The Signature Sleep mattress foam will help to distribute weight throughout the mattress by molding to your body and alleviate movement to your sleeping partner. The coils help to relieve pressure points in your body and minimize aches and pains in the morning. The cover is made of soft quilted material to keep you cozy. The Signature Sleep mattress comes in the following sizes: Twin, Full, Queen, and King. Each size is 8 inches thick, which is great for a low profile bed. This mattress is also very lightweight weighing from only 43 pounds for the twin and up to 92 pounds for the king. The dimensions of the Signature Sleep mattress are standard among the industry so no special sheets are needed. This mattress ranges from $149 up to only $275. If you are looking for a hybrid mattress at an affordable price this is an excellent choice. Home Life Harmony makes a mattress that is perfect for any budget without sacrificing comfort. This mattress is designed with a quilted cover to protect the inner layers of foam and coils. The added foam layer gives you durability and comfort. The coils will help with weight distribution keeping everyone sleeping peacefully through the night. The Home Life Harmony Sleep mattress comes in the following four sizes: Twin, Full, Queen and King. The mattress is 8 inches thick so it will fit standard sized fitted sheets with a tight elastic. All four sizes are made to industry standards and will fit most sized box springs or mattress bases. This mattress ranges from $59 for the twin up to right under $174 for a king. One of the most affordable of our top picks, Home Life Harmony, is a mattress that offers comfort at a price you can't afford to pass on. The Sleep Master Ultima Memory Foam mattress gives you the support and regulated temperature you need for a good night's sleep. The memory foam conforms to each individual person that sleeps on it. If you have multiple people sleeping on this mattress, it does a great job at preventing the transfer of motion. The multiple foam layers will provide you with pressure relief, so you can wake up refreshed and ready to take on the day. The Sleep Master mattress also provides just enough firmness to help you get out of bed in the morning and just enough softness for you to sink in tightly for a night full of sweet dreams. This mattress is covered by a ten year worry free limited warranty. The Sleep Master is available in seven different sizes: Twin, Twin XL, Full, Short Queen, Queen, King and California King. It also is available in four different thicknesses: 6, 8, 10 and 12 inches. The Sleep Master is very lightweight and can be moved by one or more persons easily. You can expect to pay between $97 to just over $470 for this mattress. With so many options for size and thickness, Sleep Mattress is the best pick for anyone wanting more customizable options. When choosing a budget mattress you don’t have to sacrifice comfort. There are a wide variety of mattresses you can purchase online that are great for your body and your wallet. Always be sure to check the manufacturer's warranty so you know you are covered and you can rest easy. Lastly, sleep well knowing neither your back, nor your wallet were strained on your new mattress.